Is this a Warbler? If so what kind? I got involved in photographing birds a couple of years ago and I'm still stumped with this one even with numerous field guides. 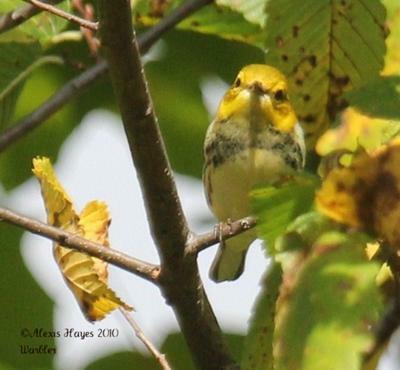 My guess is a warbler, but the markings on it's chest don't match any warblers in my books. My first thought was a yellow warbler, but they have red streaks on their chests. Unfortunately I was able to only get one photo that doesn't show the tail and wing markings to give me a better clue. I'd love to put this mystery to rest. I have no idea - one of our readers may know! Comments for Is this a Warbler? If so what kind?